* The films will be shown twice at 7pm and 9pm on Sunday nights at Buffa's. 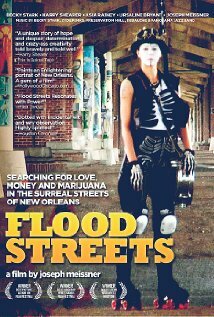 Originally aired on WLAE-TV, New Orleans, this documentary accurately portrays a culture that is popular without being well-understood. The range of Cajun lifestyles is recorded from bayou to prairie, urban center to oil rig, white-collar offices to waterways of farmers and fishermen. 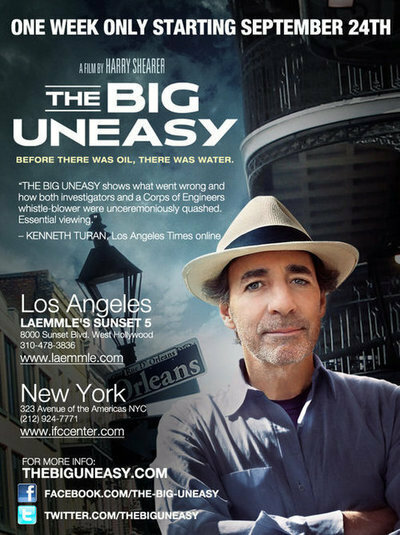 Prior studies of Cajuns considered the impact of the oil boom, but this documentary goes further by considering how both the rise and fall of the oil industry have changed south Louisiana culture. A television documentary profiling the primary social and musical influences of the New Orleans years on jazz legend Louis Armstrong. Locations, historic visuals, and recordings shed new light on the development of jazz. The film explores the relationship between New Orleans jazz and brass bands with the city’s cultural and social traditions. Produced and Directed by Jerry Brock, the documentary features Danny Barker along with the Dirty Dozen, Tuba Fats & The Chosen Few, Young Tuxedo, Rebirth and All Star (kids) brass bands. Also featured are Reverend Semmes L. Harvey and the Mount Moriah Missionary Baptist Church and Youth Choir, Young Men Olympia Jr. Benevolent Association, Avenue Steppers Social Aid & Pleasure Club, Dr. Michael White, Gregory Davis, Kalamu Ya Salaam, James Andrews and twelve year old trumpeter Nicholas Payton. 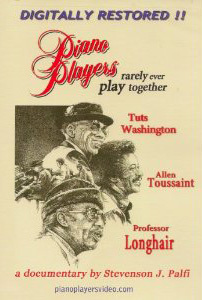 This is a 90 minute film documentary on New Orleans jazz produced in 1992 by Telecom Japan International and broadcast over NHK Japan. Jerry Brock is the lead writer and consultant. It features Danny and Blue Lou Barker, James Andrews, Lillian Boutte, Terrence Blanchard, the Lil' Rascals Brass Band, and many others including six year old Troy "Trombone Shorty" Andrews. The program is subtitled in Japanese and only a portion of the program will be shown. 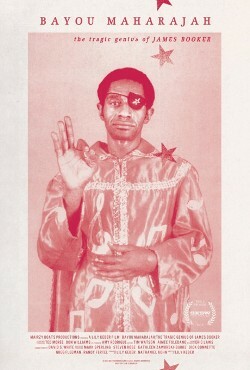 Bayou Maharajah explores the life and music of New Orleans piano legend James Booker, the man Dr. John described as “the best black, gay, one-eyed junkie piano genius New Orleans has ever produced.” A brilliant pianist, his eccentricities and showmanship belied a life of struggle, prejudice, and isolation. A wild genius with a style that combined elements of rhythm-and-blues, jazz, ragtime and classical music, he gained the nicknames "Piano Prince of New Orleans", "Black Liberace" and "Bayou Maharajah". Illustrated with never-before-seen concert footage, rare personal photos and exclusive interviews, the film paints a portrait of this overlooked genius. This lively and informative video traces the development of New Orleans jazz by focusing on two musical families: the Lasties and the Nevilles. From interviews with family members, still photographs, and voice-over narration emerges an understanding of the relationship between family and artistic production, place, and sound. An attempt is made to locate these familial traditions within the larger structure of jazz and African-American cultural traditions. The film is the story of one of the French Quarter's most dynamic and eccentric characters, Ruth “Ruthie the Duck Girl” Moulon. For more than 50 years she roller-skated around the Quarter with her pet ducks in tow. But, as we learn, every visible feature of Ruthie's outlandishly public existence echoes an event from her hidden past. 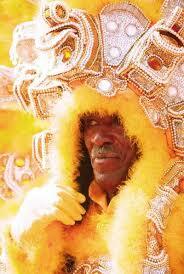 Aired in 1999 on WYES-TV in New Orleans. On the Border of the Quarter since 1939, Buffa's Bar & Restaurant is a true New Orleans style neighborhood bar. Food and libations. You probably know about Buffa's because they have great musicians performing there. If not, please go sometime. They never have a cover charge which makes it easy to invite friends to come with. Buffa's is a relatively small and comfy longtime neighborhood bar with a back room that serves as an eating area/music room/film and entertainment area separate from the bar. I want to showcase the films in a less formal and more comfortable environment that is small and intimate and therefore offering more personal gatherings for locals. The family owning Buffa's is great and they have a brand new projector plus a huge screen in a non smoking environment serving food. Great combo!